We are professionals from different areas within the beauty industry who have joined together to bring you Be Stunning Beauty clinic, our areas of expertise complement each other and make the clients experience extra special. We are passionate about health and beauty .In our clinic we use the latest technologies to help to reveal the beautiful You. Only quality products and leading brands are used in our establishment. We keep the highest standards of hygiene and cleanliness. Feel rest assured when you attend Be Stunning Beauty clinic whether it is for a professional treatment or attend the Beauty school as a student, you will enjoy your time with our friendly, positive team. I have been passionate about health and beauty all my life. After working in different fields of business I decided to combine my passion for beauty and my business skills. I enjoy working with people and helping them to achieve their desired results. I enjoy all aspects of beauty therapies, especially skin care and make up. It gives me great amount of satisfaction when people feel good as they leave Be Stunning Beauty Clinic..
My aim is to make a difference in the beauty industry, by having a quality team of therapists who will provide a high standard of service, treating each client with a personal and individual approach. Alexandra Cutler is an important part of the Be Stunning Beauty clinic team .She has been a laser practitioner for over 12 years and hold the BETEC Level 4 in laser and IPL. She is a qualified teacher and assessor of the NVQ level 4 in lasers she also works alongside Pulsar who are one of the top laser and beauty machinery suppliers in the UK and has been for over 20years. 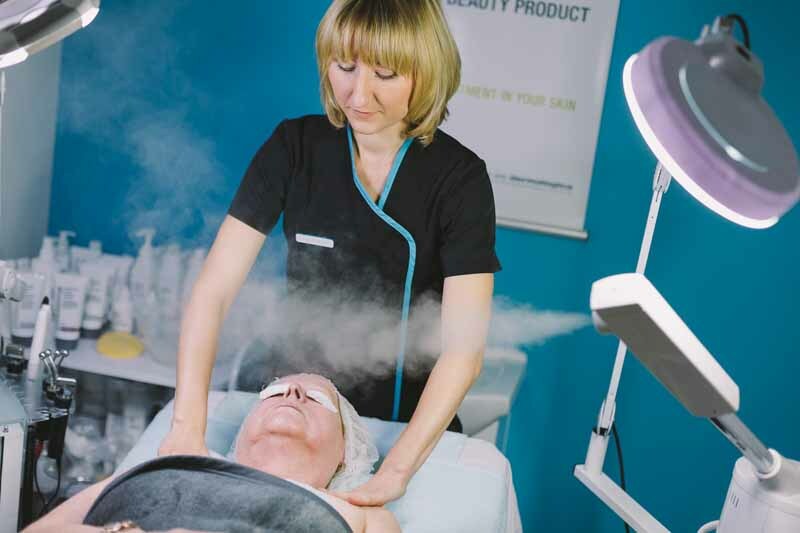 She is a trained cosmetologist and holds beauty level 3 NVQ in electrical facial treatments and also holds qualifications in Radio Frequency, Body Cavitation, Micro Needling, HIFU and more. As she is also a director at Pulsar and a working therapist she offers the best of both worlds. She has access to all the highest quality new technology within the beauty and aesthetic industry as well as a working understanding of what clients want and how best to achieve it for them. Maria is a qualified nails and lash extensions technician. She is also trained in massage therapies and delivers a professional and relaxing massage treatment. Maria is very passionate about beauty and currently undertaking level 2 beauty training. She has a very friendly outgoing personality and is appreciated by all our clients. Want to Work at Be Stunning Beauty? Please send us your CV and we will consider your application. Please state what you would bring to our team.